Unique & Stylish USB Pen Drives ~ Tech Charisma--Your Own Technical Hub. USB (Universal Serial Bus) Operated Pen Drives have been the Core of Computer Era Ever Since They Made Entry in The Gadget World in the Early 2000 . USB Pendrives are Multi Purpose Portabble Disk Drives Which helps in Data Transfer , Carrying Data ,Debugging Operations , Installing Purposes etc.. But USB Pen Drives Have Evolved a Long Way From there Speed Capabilities , Storage Capacities and Most Importantly There Uniqueness in DESIGNS . 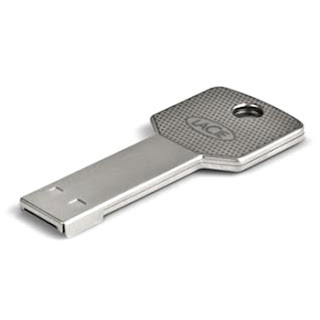 Tech Charisma Would like to Share Some of The Best Desgins in USB Pen drives Which Will Capture Your Mind For a While . So lets have a look at Some of The Best Designs of USB pen Drives. Step 1: Get your items. Dice, USB, Dremel, blue or epoxy and a file. Step 2: After some measurements, mill out the hold where the USB will be inserted. Step 4: Epoxy the USB drive into the base die, and attached the lanyard to the cap die. Now you’ve got a USB dice key-chain. Found this today, little kid project for turning a USB drive into a Shuriken. Not familiar with the term, then check this out. Hope You Liked Our Compilation of Some Incredible USB Designs . Tech Charisma -- Your Own Technical Hub ! !